Several weeks ago I received a VoxBox from Influenster, and I'm just now sitting down to let you know how I feel about it. 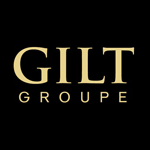 Free products? I guess I feel pretty good about that, in particular. 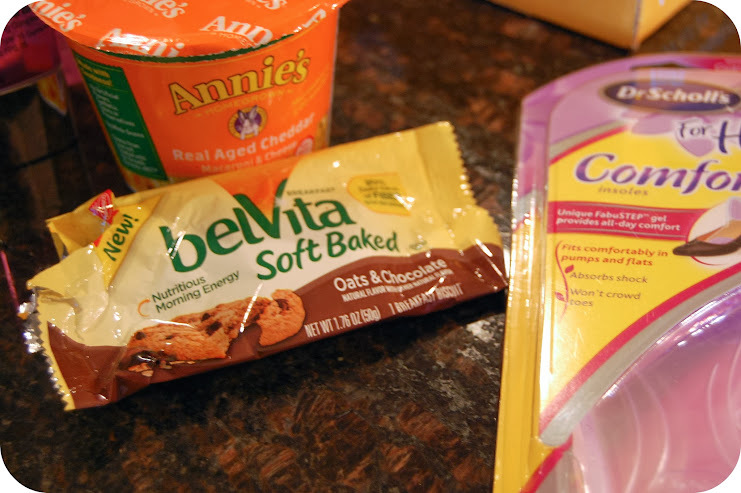 This particular VoxBox contained things that moms might be interested in. 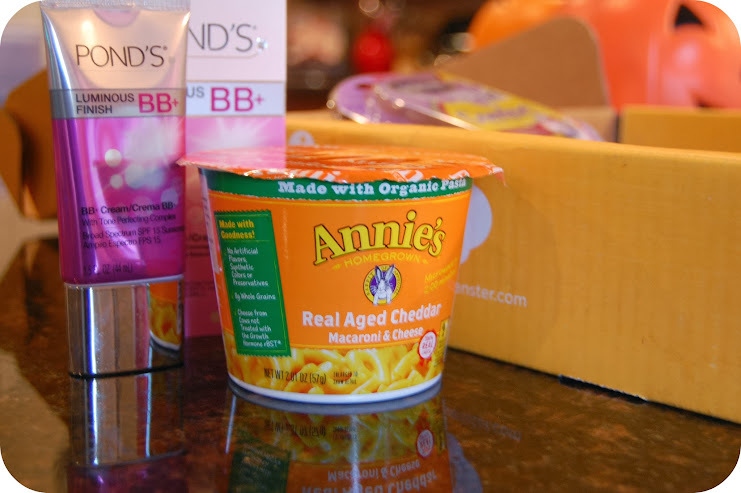 Annie's Microwaveable Mac and Cheese: I haven't heated this one up yet, but my kid loves mac and cheese. If it comes back with a thumbs down, I'll let you know. A multipack retails for $3.29. ETA: Meh. 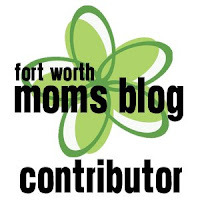 Dr. Scholl's For Her Comfort Insoles: I tried this in a variety of shoes. I wasn't impressed at all when I put them in my heels, but I loved them in my tall riding boots, which are flat and have no support in them. I also tried them in a new pair of non-stretching, unforgiving patent flats, and because they raised my foot up, the stiff elastic in the back hit my heel differently, making them much more comfortable. I'll keep trying these. I'm deducting points for the hard plastic packaging that I cut my finger on while try to open them. It's 2013. We can do better. Retails for $12.49. belVita Soft Baked Breakfast Biscuits: Jack and I ripped that sucker open as soon as we saw it. We both agreed we wish we hadn't had to share it, but I'm not sure even the whole thing would be enough for me for breakfast. I might buy them again. But at 5 WW pp, I might rather have a real cookie. (For comparison, a Great American Cookie Co. original only has 6 points.) Retails for $3.69. 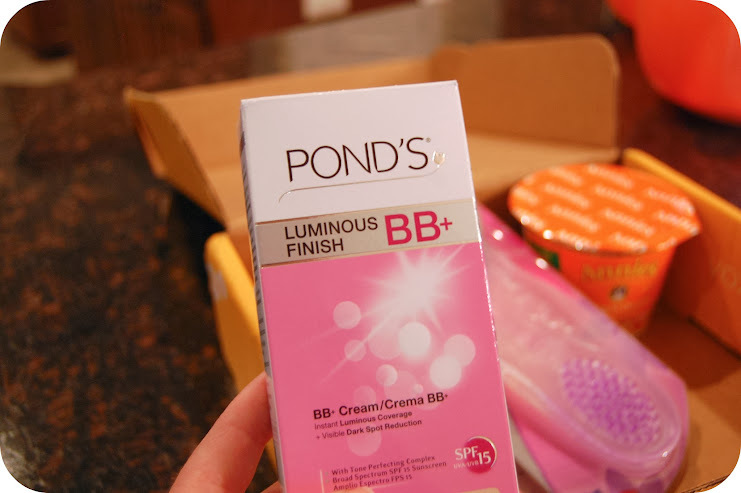 Pond's BB+ Cream: I'll admit that I've been a make up snob. I don't buy it at the drugstore. I've even tried to like drugstore mascara, but just never found a good one. 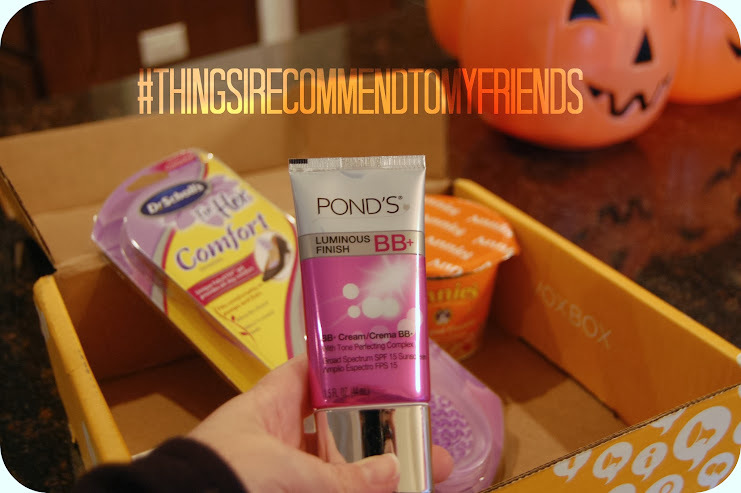 Within a few days of using the Pond's BB+ Cream, I raved about it on Instagram. I had even gotten several out of the blue compliments on my makeup. I definitely recommend this to my friends. One of my young friends bought it, told me she was skeptical because she thought Pond's was an old lady brand, and then told me how much she loved it. It includes SPF 15, covers well, and the light shade is perfect for my pale self. It takes a minute to dry well, but that usually happens to me on products with SPF. I would compare this to a tinted moisturizer. Great for days when you don't want to put on heavy foundation. Retails for $9.99. I would not lie about something as critical as your face, ladies. This one's a winner. Annabelle is 7 Months Old!